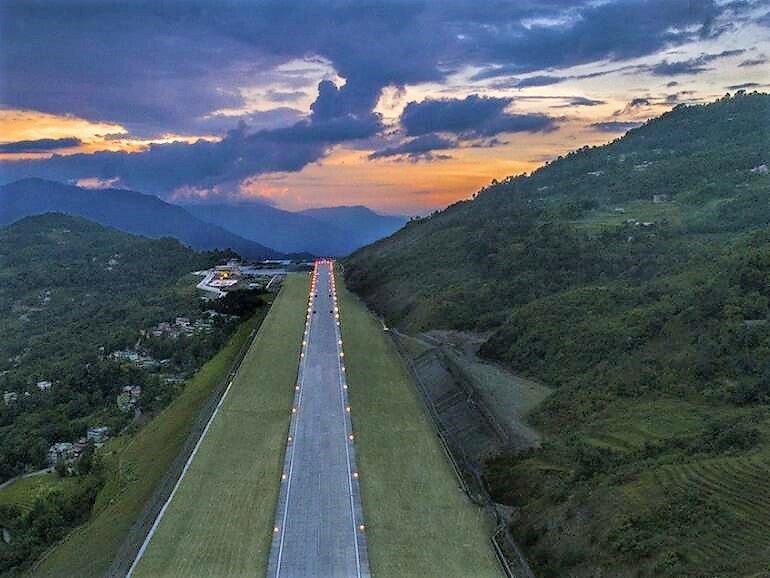 Sikkim – a landlocked Indian state located in the Himalayan mountains, well-known for its lush green topography with a wide variety of flora and fauna, is now a part of India’s aviation map. 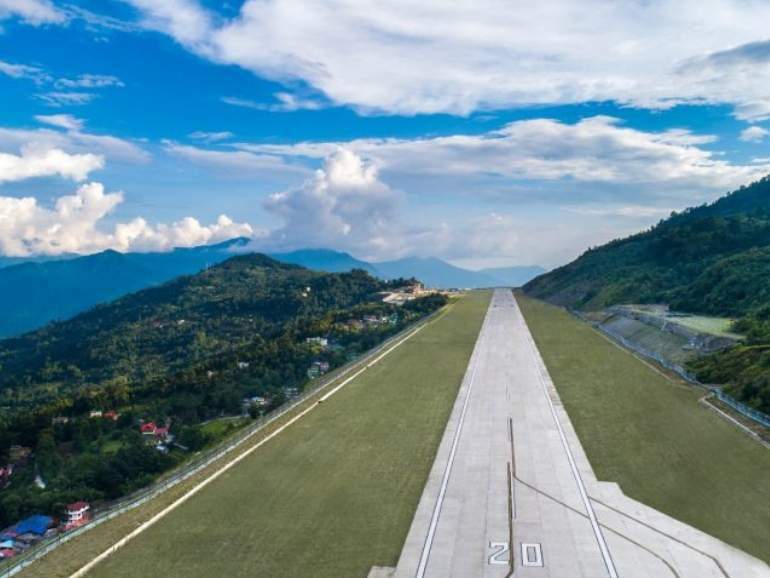 At a height of over 4.500 ft, the new Pakyong Airport is one of the five highest airports in India and the first greenfield airport in the Northeastern region of India. 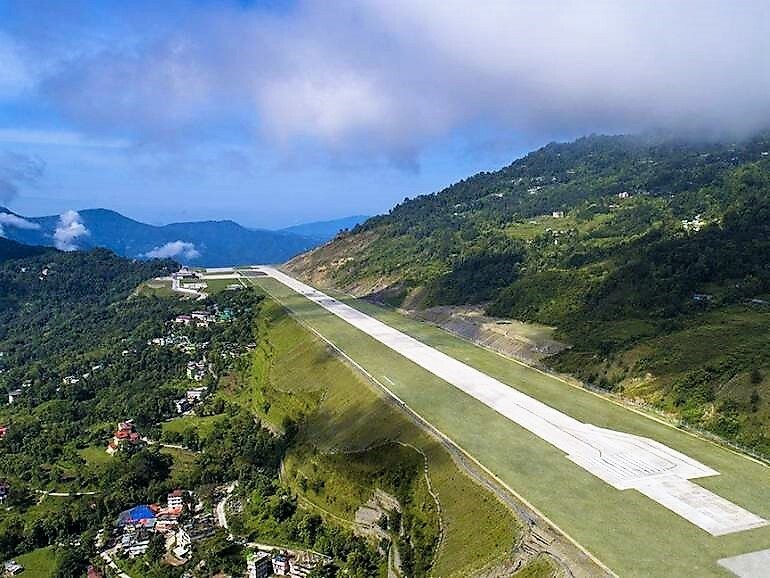 Apart from the location in the mountainous terrain of Himalayas, heavy rainfall, heavily weathered ground conditions, high seismicity, balance of cut and fill and land availability constraints made this nine-year-long project extremely challenging. Our reinforced soil structure served as a retention embankment for the runway of this prestigious project which is standing today as one of the world’s tallest reinforced structure at almost 80 m in height. Maccaferri’s Paramesh system, comprising of high strength geogrid (Paralink) along with fascia elements Terramesh system and Green Terramesh takes the credit to build this ‘Engineering Marvel’, as described by BBC. 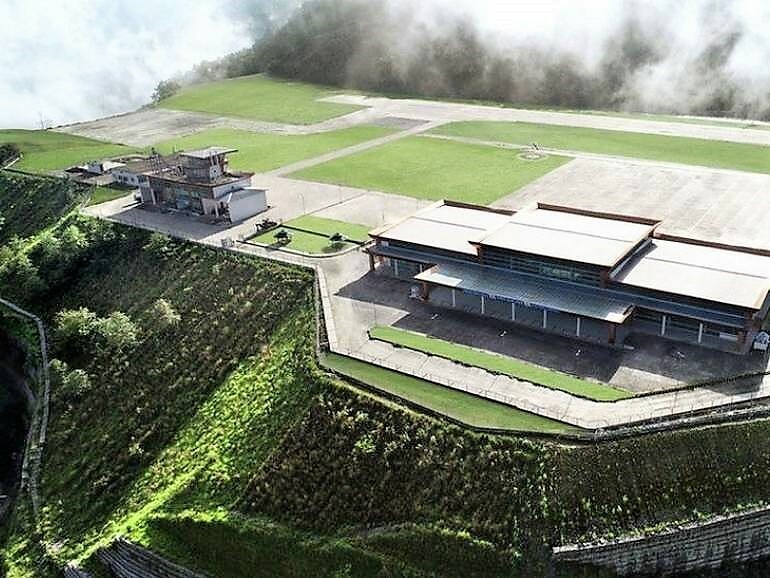 For making level ground for the airport construction, the mountainside slope up to around 110m high had to be excavated and the valley side slope required retention structures up to 74m high. Due to the geology of the site comprising of a mix of sedimentary and metamorphic rocks that are highly weathered, the design was very challenging. The structure also had to deal with very high seismic loading and four-month monsoon period with one of the world’s highest annual rainfalls of about 2500mm average. This has already been exceeded up to 3900mm in 2011 during the construction period. One of the most specific requirements of the client, Airport Authority of India (AAI) was to have an eco-friendly solution, as the cutting side area had direct visibility from the runway and terminal building and most importantly the construction should not have an adverse impact on the environment and local habitat. Ecological and land take reasons led the local state to instruct that fill should have neither be exported nor imported. All this meant that a completely balanced cut and fill design was needed within the tightest possible carbon footprint, with land take kept at 56ha. This solution has been awarded at both national and international level for concept and innovation in engineering and for its eco-friendly nature. 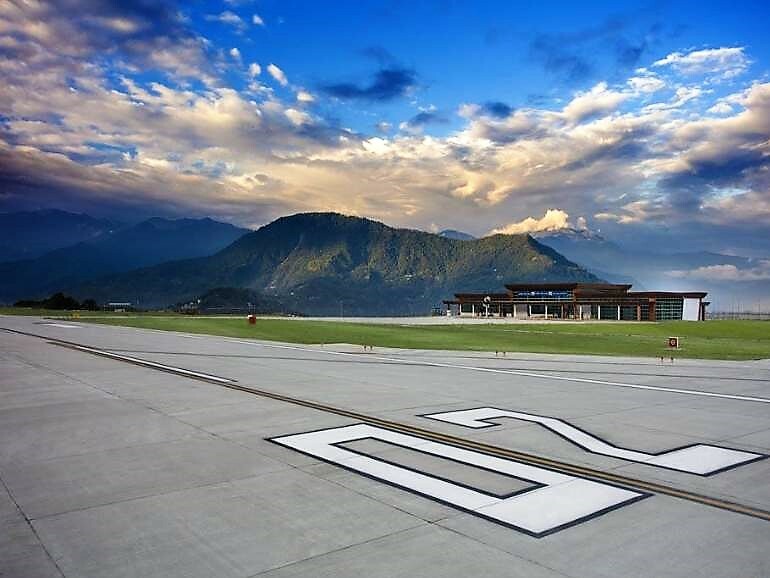 The State’s first airport at Pakyong has been inaugurated by Prime Minister Narendra Modi on the 24th September 2018, a ceremony that marked a milestone for aviation in India, as reported by CCN.